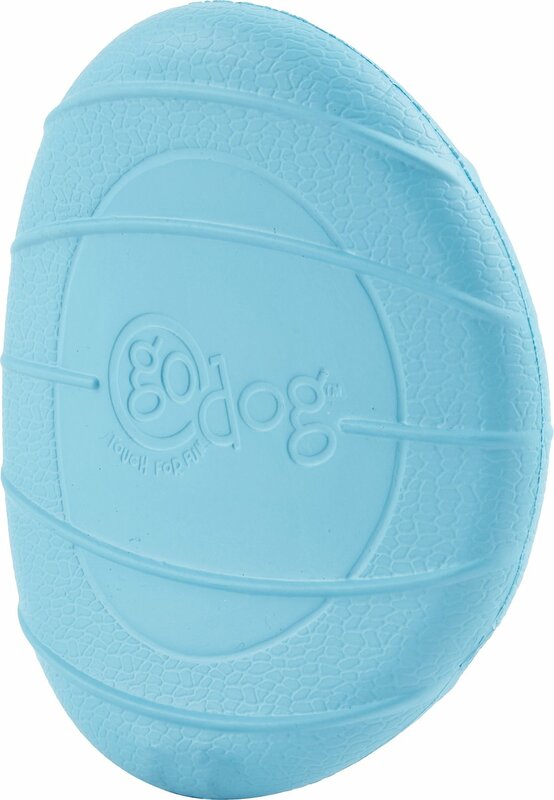 Not all toys are designed equal and that is evidenced by the GoDog RhinoPlay Flip Dog Toy. The RhinoPlay line is made from PopFoam NT, which is an environmentally safe and non-toxic material that is lightweight, waterproof and virtually indestructible. The Flip has a fun chip shape, ensuring that no matter how it lands, there is always an edge sticking up for your dog to grab. This toy is fun to toss, fetch or just chew for hours on end. Made from an environmentally safe and non-toxic material that is lightweight, waterproof and virtually indestructible. 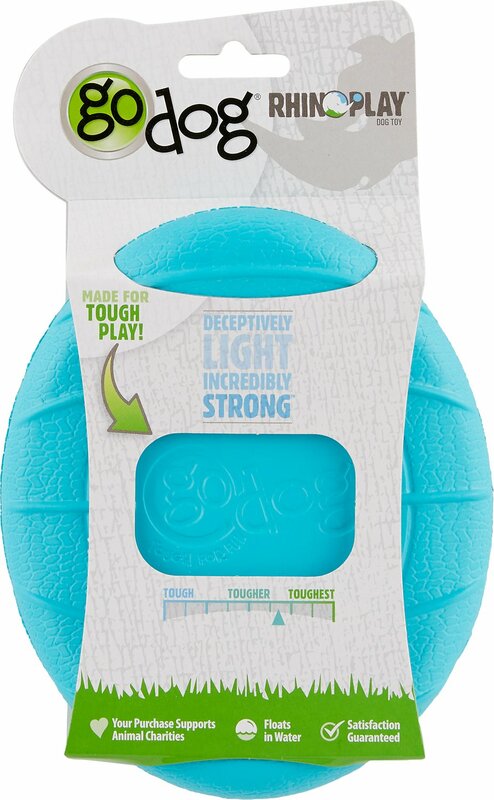 Fun chip-shape ensures that no matter how it lands, there is always an edge sticking up for your dog to grab. Interactive toys are a great way to keep your dog occupied and prevent unwanted behaviors associated with boredom like inappropriate chewing or barking. Not good for dogs who like to chew! I bought this for my 1 year old lab and within 5 minutes she had a portion of the toy chewed up. Had to throw it away so she wouldn’t eat more of it. If your dog is not a chewer then this product is probably great. Just not worth the money for my pup. This is a nice, lightweight toy that you can bring with you to the park or use indoors or outdoors. I like that it comes in different sizes. It only took 5 minutes before I was seeing chunks of this toy all over the floor. I do have an aggressive chewer for a puppy though. The chewing rating was toughest plus but my 9 month old lab/pit mix destroyed it in 10 minutes. She chewed one of them into a million pieces. I bought 2 of them and the ball and that was destroyed too. Not recommended for your heavy chewer but honestly after receiving it and feeling the material its made of, i dont see how it could withstand even a mild chewer. Within 5 minutes my chewer had hunks of this chewed off. Definitely not for a dog who’s a chewer. I use this kind of like a frisbee and am surprised how much my dogs like this. Nice enough, but my GSP is a heavy chewer, so there are tiny pieces all over yard. I really like the Rhinoplay line. They are quality toys to play with your dog with. They are not chew toys, they can be destroyed. But for fetching and general ruffhousing with the dogs I like this line of toys a lot.